Towbar Express offer a wide range of tow bars for your Jeep. We supply and fit tow bars for all Jeep towing approved vehicles ranging from Jeep Grand Cherokee, Jeep Compass , Jeep Wrangler and the Jeep Renegade. 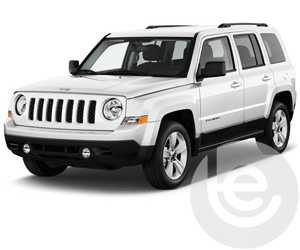 Jeep is a brand of American automobiles, formerly known as the Chrysler Group. 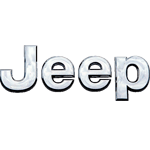 Jeep has been a part of Chrysler since 1987. Jeeps are a well known manufacturer which many customers would think of when thinking of a reliable towing vehicle. We fit both detachable and fixed flange and swan neck towbars. When fitted to your Jeep, towbars can be used to pull everything from a simple trailer right up to a caravan or horsebox. We have such a wide range of towbars that whatever the model of your Jeep, our towbars can be fitted to meet your needs. 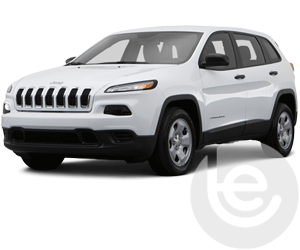 The Jeep Cherokee has evolved from a full-size SUV to one of the first compact SUVs and eventually into its current model as a crossover SUV from 2013. Although the vehicle has been out since 1974 we at Towbar Express fit from 2002 onwards, please rest assured after the recall by Jeep on the older model Cherokee all the tow bars we supply have been redesigned. The most popular bar fitted to latest KL model is the detachable swan neck tow bar with a maximum towing weight of up to 2500kg. The Jeep Renegade is Jeep’s first all-new model introduction for almost a decade. It is generously proportioned compared with its rivals, as well as quite well endowed mechanically, putting it into competition with full-size crossovers and giving it all to prove. 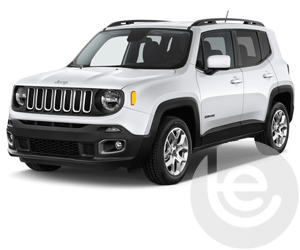 The Renegade looks ready to surprise and confound, with Jeep’s 4x4 brand equity combining to make for the perfect start in life for a compact crossover, and an excellent towing vehicle. Our experts tow bar fitters come to you at home or at work, at a time that suits you. To get a quote, all you need to do is search for your vehicle below or enter your registration number and postcode above. 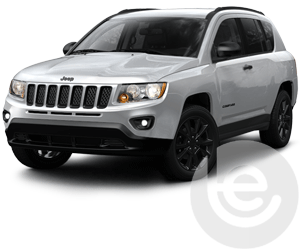 View our range of towbars and electrics for your Jeep Cherokee from 2002 to present including fixed to detachable tow bars. We stock the detachable swan neck towbars for your Grand Cherokee for 2011 onwards. 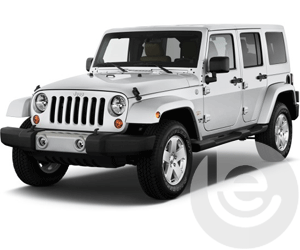 From 2007 onwards, we stock both a fixed Flange Towbars and detachable Swan Neck Towbars for your Wrangler. Jeep Renegade Towbars for vehicles from 2014 onwards including fixed flange, fixed swan and the detachable swan neck towbars. 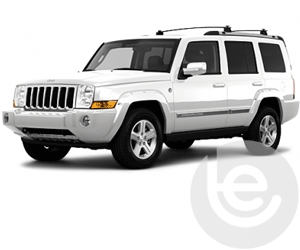 To find the towbar fitting price for your Jeep, simply select your model below. We are experts in our field and the price you see for your Jeep tow bar is the complete price that you pay for the tow bar, towing electrics and most importantly the complete installation. All our Jeep tow bars are 100% guaranteed and are installed by one of our fully trained technicians, with full technical support and our helpful office staff we are the number one company to install your tow bar. Our gallery of Jeep Towbar installations shows the wide range of recent fitted tow bars by one of our team. This functionality extends to the tow bar wiring which allows Jeep’s built in safety features activated, Trailer Stability Control, Parking aids are disabled while towing to work seamlessly with your trailer or caravan attached. Why choose Towbar Express for your Jeep towbar installation?